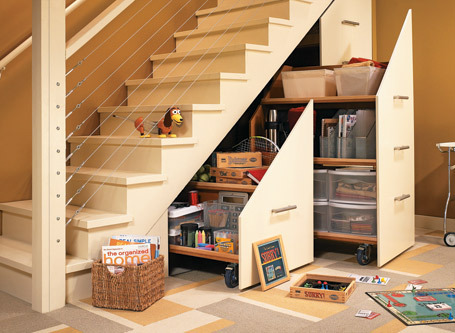 Tame that monstrous mess under your stairs and reclaim living space in your basement with these rolling storage cabinets. 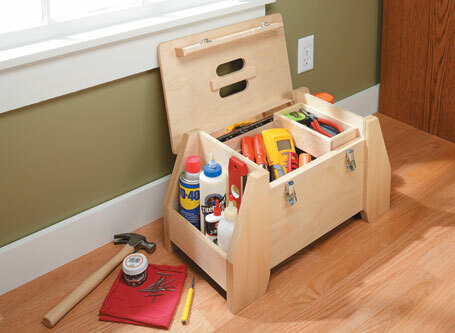 This combination tool tote and step stool is easy to build and a handy addition to any shop. 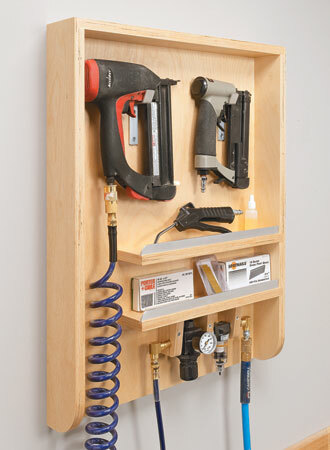 Spend a few hours shop time making a convenient home for your air nailers and accessories. Good tools deserve a good home. 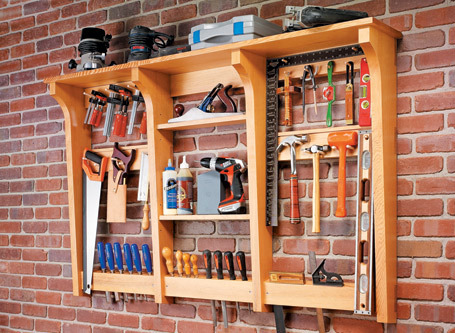 This chisel rack provides convenient storage and adds a touch of class to your shop wall. 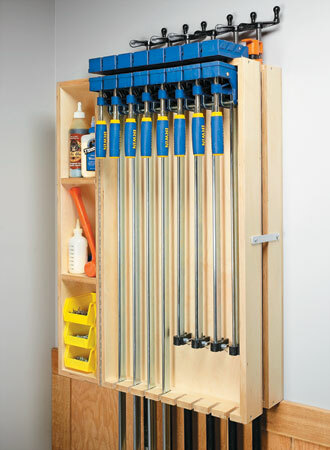 Get high-capacity clamp storage in a compact space with this multi-layer wall rack, plus cubbies for clamping accessories. 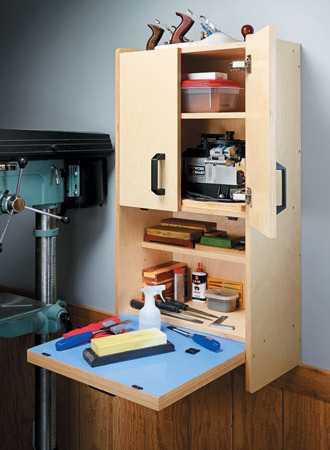 Keep sharpening supplies organized and close at hand in your shop with this easy-to-build cabinet. 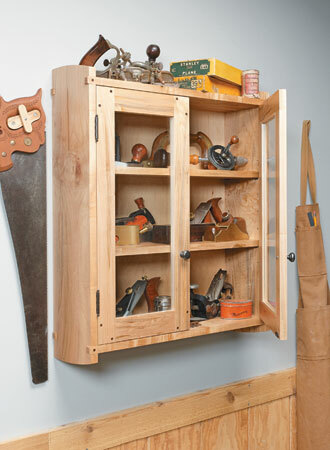 Store and display your favorite tools in a cabinet that breaks the mold of traditional storage. 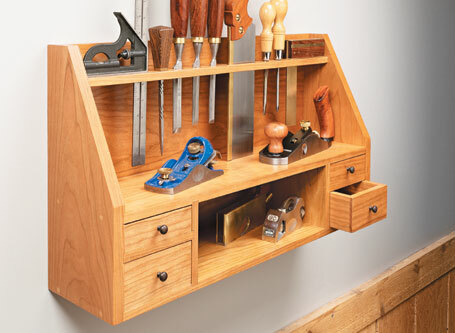 Classic looks, simple joinery, and tons of storage all add up to a must-have project for your shop. 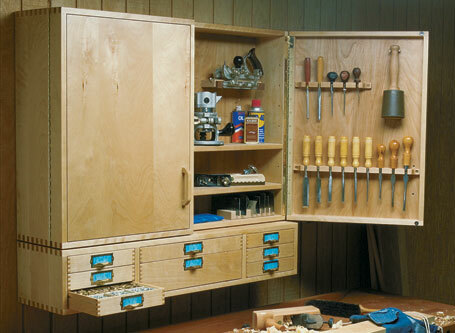 Spend a weekend building this strong and great-looking home for your prized tools. 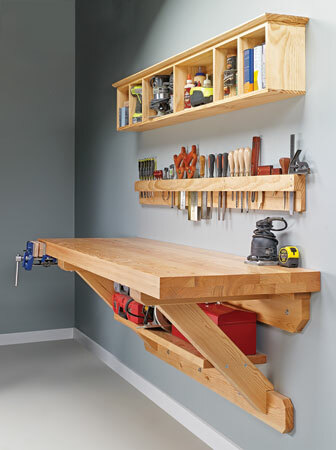 Transform a few feet of wall space into a workshop with these three simple projects. This stylish project uses old barn boards to accent the painted finish... 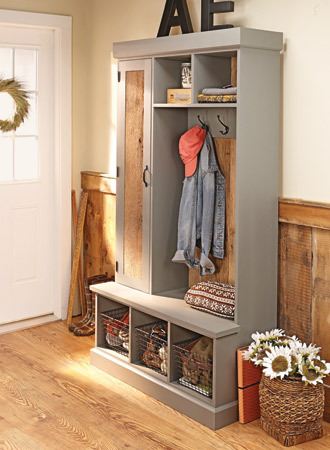 It's a beautiful place to organize the clutter in your entryway.